These extracts from LKY’s 2000 book, FROM THIRD WORLD TO FIRST, confirms how deeply Singapore has influenced China. My meeting with Vice Premier Deng Xiaoping was unforgettable. A dapper, stocky man of 74, not more than five feet tall, in a beige Mao suit came down from a Boeing 707 at Paya Lebar airport in November 1978. … We met that afternoon for formal discussions in the cabinet room. The next day I made my points in one hour-actually half an hour, without the translation. … He was the most impressive leader I had met. He was a five-footer, but a giant among men. He said he had wanted to visit Singapore and America before he joined Karl Marx – Singapore, because he had seen it once when it was a colonial territory, while on his way to Marseilles after the end of the First World War to work and study; America, because China and America must talk to each other. … At the airport he shook hands with the VIPs and ministers, inspected the guard of honor, walked up the steps to his Boeing 707, then turned around and waved goodbye. As the door closed on him, I said to my colleagues that his staff were going to get a “shellacking.” He had seen a Singapore his brief had not prepared him for. [Sanjeev: Deng’s eyes opened from this visit, which proved crucial in China’s transformation] There had been no tumultuous Chinese crowds, no rapturous hordes of Chinese Singaporeans to welcome him, just thin crowds of curious onlookers. At the end of January 1979, Deng visited America and restored diplomatic relations with President Carter without the United States abandoning Taiwan. On my second visit to China in November 1980, I found many changes. … Premier Zhao Ziyang met me for talks. He was a different character from Hua Guofeng or Deng Xiaoping. Of medium build, he had the complexion of someone with a light suntan over his fine features. I had no difficulty understanding his Mandarin because he had a good, strong voice without any heavy provincial accent. … The next morning I met Deng Xiaoping for over two hours in a different room in the Great Hall of the People. … Deng argued that China was a huge country with a large population. It did not need the resources of other countries. It was preoccupied with the problem of uplifting its people out of poverty and backwardness, “a great undertaking that might take half a century.” China was too populous. Premier Zhao Ziyang met me again in Beijing in September 1985. He referred to me as an “old friend of China,” their label for those they want to put at ease. Then he asked for my impressions of the places I had visited on my way to Beijing. His manner encouraged me to speak up. I said I could give inoffensive observations, leaving out the critical, but that would be of no value to him. I first gave him my positive impressions. … Then I gave the negatives: Bad old practices were unchanged. As prime minister for over 20 years, I had stayed in many guesthouses, and could guess the nature of the administration from their condition. Jinan’s huge guesthouse complex gave an impression of waste; I was told my suite with its giant-size bathtub had been built specially for a visit by Chairman Mao. The labor to keep this complex in good condition could be put to better use running a top-class hotel. Because guests in residence were few and far between, the staff were out of practice. Next, the poor road system. Parts of the 150-kilometer (approximately 90-mile) road from Jinan to Qufu, the birthplace of Confucius, were just mud tracks. The Romans built roads that lasted 2,000 years. China had labor and stones in abundance and there was no reason why there should be mud tracks linking Jinan, the provincial capital, to Qufu with its tourist potential. He said China had three major economic tasks: first, build up infrastructure like roads and railways; second, upgrade as many factories as possible; and third, improve the efficiency of their managers and workers. He described the problem of inflation. (This was to be one of the causes of the trouble in Tiananmen four years later.) He wanted more trade, economic and technical cooperation between China and Singapore. China was ready to sign a three-year agreement with us to process not less than 3 million tons of Chinese crude oil per year, and would import more chemical and petrochemical products from Singapore as long as they were at international prices. Thus began their participation in our oil industry. Their state oil company set up an office in Singapore to handle this business and also do oil trading. … I was taken to meet Deng. He bantered about his advanced age of 81 compared to my 62. I assured him that he did not look old. … He repeated that he was already 81, ready to meet Marx, that it was a law of nature and everyone should be aware of it, except Mr. Chiang Ching-kuo. … When I next met Zhao Ziyang, on 16 September 1988, he had been promoted to general secretary. He saw me at my villa in Diaoyutai, their guesthouse complex, to speak about China’s economic problems. He was disturbed by a wave of panic buying throughout China a few weeks earlier, in late August and early September. They had had to reduce construction, control the growth of money for consumption, and slow down economic growth. If other measures did not work, the government would have to stress party discipline – I took this to mean “punish high officials.” The panic buying must have reminded him of the last days of the Nationalist government in 1947-1949. Then he took me to the restaurant in the Diaoyutai complex to celebrate my 65th birthday. During dinner, he asked for my views on a recent television series he had sent me, the “Yellow River Elegy,” produced by some younger members of his reform program think tank. It had depicted a China steeped in feudal tradition, tied down by superstitions and bad old habits, a China that would not make a breakthrough and catch up with the modern world unless it abandoned its old conformist attitudes. Zhao was concerned that China’s economy was not taking off like those of the NIEs without being plagued by high inflation. I explained that this was because, unlike China, the NIEs never had to deregulate planned economies with prices for basic commodities controlled at unrealistically low levels. He exuded the quiet confidence of a good mind that took in briefs swiftly. Unlike Hua Guofeng, he was a gentleman, not a thug. He had a pleasant manner, neither abrasive nor bossy. But one needed to be tough and ruthless to survive at the top in China, and for the China of that period he was too liberal in his approach to law and order. When we parted, I did not know that within a year he would become a nonperson. I complimented him on the considerable changes in China, not only in new buildings and roads but, more importantly, in people’s thinking and attitudes. People were more critical and questioning, but optimistic. I said his 1979 visit to the United States, telecast in daily half-hour programs, had shown U.S. conditions, changing Chinese perceptions of America forever. Deng remarked that the Americans had treated him very thoughtfully. … Deng said he dearly wanted to ensure the reunification of Taiwan with the mainland before he went to meet Karl Marx. It has a significant discussion of the origin of Indian liberalism, starting from Raja Ram Mohun Roy. I’ve OCRd and uploaded it. Will work on it as time permits. 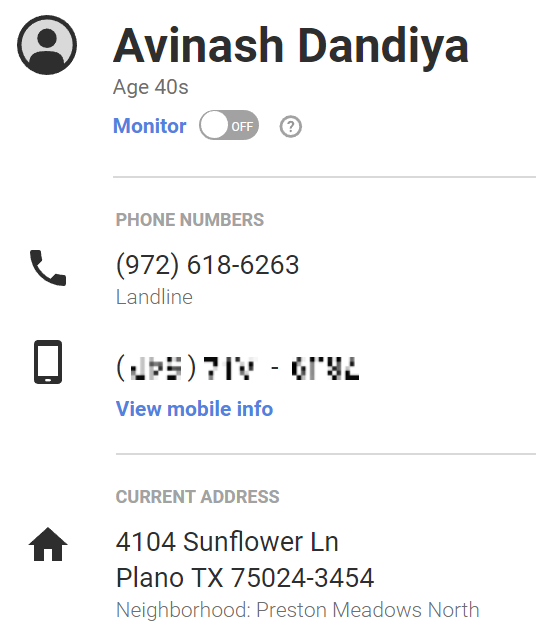 Who is Avi Dandiya and what is his credibility? There is one Avi Dandiya who has released an extraordinarily inflammatory video that contains an “audio recording” of an alleged “phone call” between Amit Shah and some unknown woman. This video purports to show that Amit Shah got Indian soldiers killed in Uri and now in Pulwama, in order to provoke a “retaliation” that would provide political benefit to BJP. Now, while it is very clear from the facts of the case that Amit Shah and Modi were FULLY complicit in the horrendous events in Gujarat in 2002 (and later with innumerable fake encounters), the idea that someone would claim that even Amit Shah – a man who is evil personified – is capable of such a dastardly act is simply beyond comprehension. I’m therefore starting an investigative post on Avi Dandiya since this man’s credibility is now at stake. I BELIEVE THAT THE AUDIO IN THIS VIDEO IS DOCTORED AND FAKE. I DO NOT BELIEVE AVI DANDIYA. But I’ll spend a few minutes in initial research, given the magnitude of his claims. The Post has an article here. And this from another news portal in Pakistan. This has also been carried by Teesri Jung (whatever that is). All I can say is that Avi Dandiya has taken a huge gamble by posting this video. If found to be fake (which it almost certainly is) his reputation will be permanently tainted. I’m opening up comments on my blog again, so anyone who knows something about him can add info on my blog. What do we know of him? He is apparently the son of an Indian Air Force officer and lives in USA. I’m keeping a screenshot here in case he deletes his account. 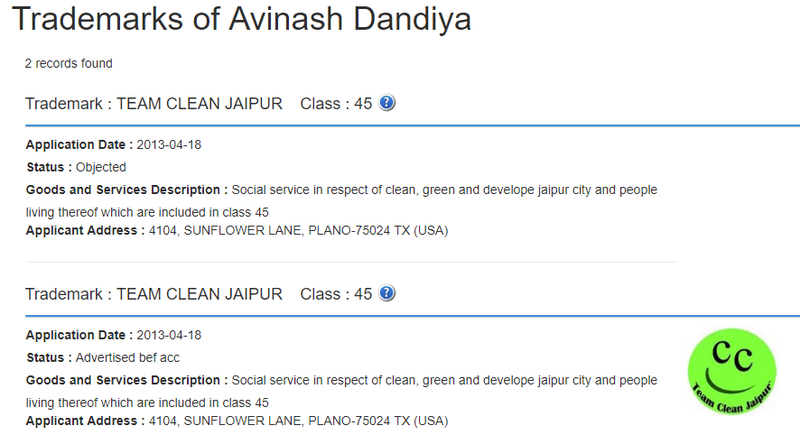 His Twitter account states that is the founder of “Team Clean Jaipur”. That suggests he has some link with Jaipur. Here is a video “interview” of Avi on some unknown media channel. It appears he has a jewellery business in USA. He is mainly resident of Jaipur. This response on Quora suggests he is an AAP supporter. I’ll only add identifying information here, if I find any. The more substantive comments are now available here. A fraud report against Avi Dandiya which allegedly was subsequently resolved. I attended an event in Gurgaon on 13 February in which Suman Malhotra and Plaban Bhattacharjee of the so-called “Liberal Party of India” attended prior to the main event and provided me with a document containing their views. I realised later that this is the same obnoxious “Liberal Party” that Anand Prasad is involved with and which I’ve thoroughly critiqued here and here. It appeared to me for a while that these two were listening carefully and might actually be capable of understanding what I was trying to say, but very soon it became clear that this was not the case. They insisted on making me hear their ridiculous “proposals” that I’ve discussed below. LPI’s new approach is EVEN WORSE to what Anand Prasad had produced – and it is hard to beat that rubbish. Worse, this man Plaban was absolutely unwilling to even listen to my reasons for rejecting ALL his ideas. I’ve outlined these reasons below, but I doubt he will understand them. LPI’s ideas are entirely illiberal. In fact, these people are socialists on steroids. It is extremely painful exercise for me to spend my time on this rebuttal of LPI’s “proposals”, but I must, so the public record is clear about the gross incompetence of this “liberal party” outfit. Stay away from them if you want to maintain your sanity. To change the mind set created by the political parties during the last 71 years will be the most challenging situation for us. The people have been subjected to a ‘Trader’s policy’ in the name of Governance. [Sanjeev: What? Socialism is now called “trader’s policy?” Did these people even get basic education?] The propriety and priority were misplaced. Industrialists were considered most important as they funded the election expenses for the parties. The food producers were kept as slaves by Govt. to take advantage of business houses. In India everyone has either given up on changing the existing system of governance or is busy inventing non-standard solutions that cannot possibly work. Why don’t Indians just study in detail the governance system of well- governed countries?